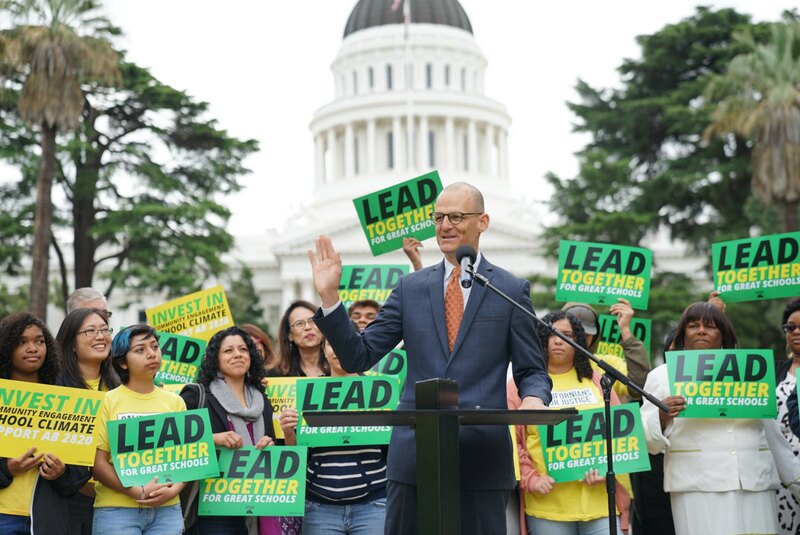 Students and parents have teamed up with Assemblymember Kevin McCarty to propose legislation that would further racial and educational equity through the Local Control Funding Formula (LCFF). Assembly Bill 2820 will ensure that districts and schools have the tools to make sure students and families are engaged in improving their schools and are regularly surveyed about safety, climate, and relationships on their campuses. Before the passage of the LCFF, meaningful Community Engagement was sparse, especially for low-income parents and young people of color. Despite the widely-known benefits of evaluating School Climate, the prioritization of positive school environments fell by the wayside in favor of overtesting under No Child Left Behind. This hit especially hard for low-income youth of color in under-resourced and disproportionately disciplined schools. Now, with the LCFF, we have an opportunity to do things differently. The LCFF is meant to empower young people and parents to work side by side with education leaders to build foundational structures, processes, and relationships based in trust and collaboration. This inclusive system will further racial and educational equity for all young people. Over the past several weeks, we’ve seen student leaders at the forefront of the movement to address concerns for school safety and climates across the nation. In California, young people, parents, educators, and legislators must lead together to make sure schools are safe and successful. By doubling down on our investment in meaningful student and family engagement and school climate as keys to both school safety and school improvement we can ensure that are schools continue to improve. “I’ve sat in student and parent work-group engagement committees at Oakland Unified School District, and have seen how critical the dialogues are to improving outcomes for students, especially for Black students who continue to struggle in school”, said Nailah Williams, now a student at Laney College. We recognize that our school communities need a system of support that includes practices, resources, and expertise in meaningful community engagement to realize the LCFF’s vision fully. 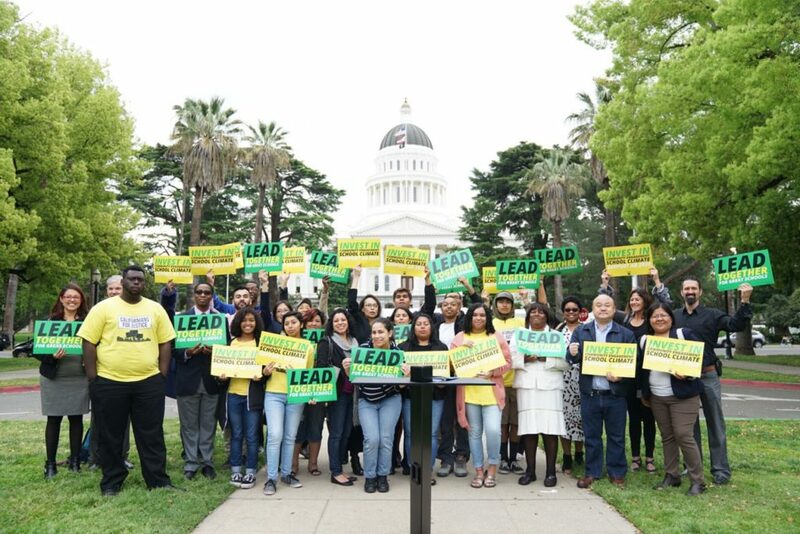 And while we lean on LCFF to heal the deep wounds in our schools caused by decades of underfunding and under-resourcing low-income youth of color, communities and school leaders must lean on each other in and outside of the classroom doors. 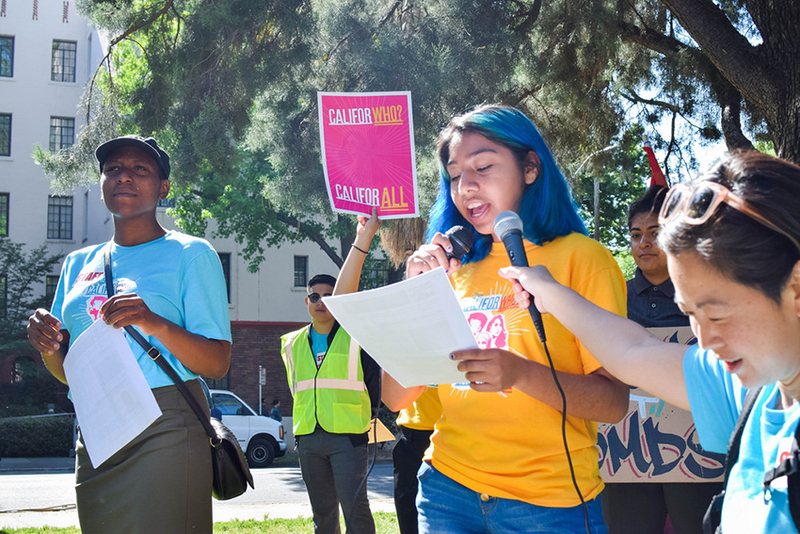 Currently, more than 3 out of 4 children and young people of color make up the state’s public school population, and 1 out of 8 has an undocumented parent. In the wake of a deep political crisis where ICE raids, the deaths of unarmed Black youth, and mass school shootings have become ordinary, the voices and everyday experiences of young people and their families are essential to transforming the culture of racial and educational inequity in our schools. Assembly Bill 2820 would be a good first step towards this transformation. The one-time funding will equip education leaders with the tools and resources to ensure that every single child feels like they belong, are safe and supported to succeed in school, and beyond.